Chances are this teaser will get pulled down from youtube relatively soon. If it does get pulled down, io9 still should have the video up. Can’t wait until next summer! What Are The Best Workshopping Sites For Writers? Although they won’t admit it, almost all writers need feedback on their work before it is ready to be released to the world. Even the best of the best have a writing partner that they rely on to give some notes on their first drafts. Stephen King has his wife, J.R.R. Tolkien had C.S. Lewis and the rest of us have the internet, which of course can vary in the quality of its feedback. The internet may not be the most trustworthy writing partner, but it does allow us to get opinions that we would of previously not had access to and whom have no obligation to be complimentary to our writing. I know there is a certain apprehension to put your work on the internet for fearing of others pilfering ideas, but the truth is that your work is more protected than you would think. Sure, copyrighting ideas helps when posting your work, but when you put your words on paper, they are in themselves protected. Although posting your work gives people easy access to steal ideas, posting it is in a way proof of your work. On most sites, you will always have a time stamped record of when your work was made public. And while people stealing your ideas is no fun, I forget which 1950s Western director said it, but it was something to the effect of, “If they’re stealing my ideas, I must be doing something right.” So cheer up! If your work is good enough to be stolen, it is an odd form of validation and flattery. Putting aside these issues, let’s profile a few of the more popular workshopping sites for writers. Zoetrope: Zoetrope is the workshopping site that I am most familiar with. I’ve used it for many years and have always been happy with the feedback. It has an established community that can occasionally disappear at times during the year, but for the most part stays strong. It’s also a useful site for those who wants to join writing groups that will keep you appraised as to the ebb and flow of what’s happening in the publishing industry. You can workshop everything from scripts to excerpts of novels on zoetrope. Critters: Critters is a site that really encourages giving feedback to others, because your work will not be looked at until you do. Operating more through email chains than any sort of central hub, this site almost guarantees feedback on your work if you choose to be a participating part of the community. I’d say the biggest criticism (albeit it a minor one) against Critters is their formatting for submitted work is very strict and requires a bit of busy work to set up. 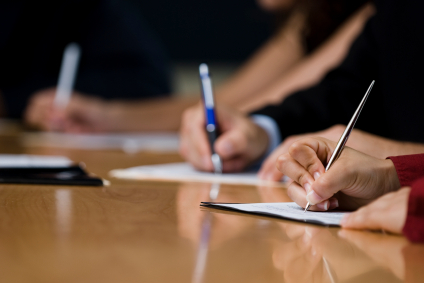 The Next Big Writer: The Next Big Writer is a site that encourages their members through goals, contests and broad motivation in the hope that they will become … the next big writer so to speak. I know people that have used it and gotten published based on their exposure from the site, so there is an added element of opportunity that comes with this site. Authonomy: Authonomy is a workshopping site started by Harper Collins in an effort to discover writers and publish their work. I know it sounds like a great way to get some feedback while bypassing the slush pile altogether, but reports are that Harper Collins hasn’t plucked as many authors from obscurity as you’d like to think. Still, it seems to be a thriving community. There are minor concerns due to the fact that the user based ratings determine which works Harper Collins considers, unintentionally creating an unnecessarily competitive atmosphere. But other than that, good stuff. Have you yourself workshopped on any of these sites? How was the experience? Do you have another favorite workshopping site I left out? If so, let me know. This week’s Monday’s Writing Links covers the second book of the Kingkiller Chronicle, the fluctuating prices of ebooks, a ‘Blade Runner’ sequel and the inevitable construction of a space elevator to make your moon commute less of a hassle (something that has been plaguing us each and every day, I know). 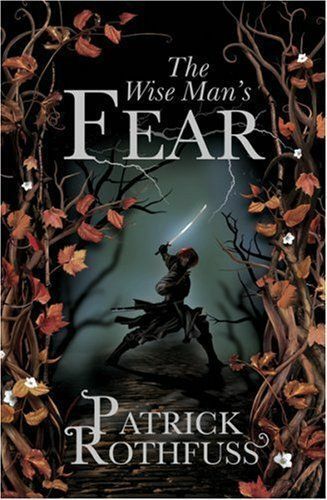 The ‘Wise Man’s Fear’, which is the sequel to ‘The Name of the Wind,’ a book I profiled in an earlier post, is a continuation of the Kingkiller Chronicle, a series that follows young protagonist Kvothe as he recounts his life and adventures. It has been a great series so far and although the third and final trilogy of the series is not out yet, I would highly recommend the first two. As I mentioned earlier, I would describe it as a meld of the Harry Potter and Wheel of Time series. And truthfully, I have never been a big fan of ‘Blade Runner,’ which I know might get some of you all riled up and soaking your torches in kerosine, but don’t quite get your best mob overalls on just yet. The reason I don’t like ‘Blade Runner’ is that I don’t think it is a very good movie. Wait, that didn’t help at all. In fact, this hole seems to be getting deeper somehow. But really, I don’t think ‘Blade Runner’ is a bad movie, it’s just one of those classics that never quite clicked with me. Sure, Harrison Ford is the man in my book and Rutger Hauer’s speech at the end of the movie is pretty awesome, but as a whole I’ve just never really meshed with it. Call me crazy. Either way, my peace offering is this nice collection of writing/sci-fi links. Sorry about the technical difficulties, but I just had my website redesigned and content will now only be updated here on conorpdempsey.com. The blogspot is still up, but it will be phased out in the next couple of weeks. This should be my only move. I’ll try to find everyone’s pages again via wordpress, but feel free to stop by the page and say hi, so it’d be easier to find you again. Jospeh R. Murphy was kind enough to redesign the site. When he’s not touring with his band Pet Lions, you should track him down for web design work. He does good work. I should be updating the site more often now that this is done and the switch is finalized. Thanks for everyone’s patience and understanding! Do You Feel Obligated To Write Your Second Book In The Same Style/Genre As The First? Often when writers release a book that is somewhat successful, they are immediately pigeonholed into writing within the genre of that book. This is the expectation of readers, critics and publishers who are familiar with your work. If you don’t conform to this expectation, people will sit up, take notice and grumble loudly while perusing your book at Borders. For example, after Orson Scott Card wrote Ender’s Game, it would have been entirely unexpected and quite jarring if he would have followed it up with The Notebook. His fan base might have been less than pleased. There is certainly nothing wrong with writing within one particular genre, but it can feel limiting if you do have a desire to tackle other material. I find that there are not many authors who switch genres successfully, at least very early on in their career. China Miéville is an author who is often credited with producing books that confront completely new genres and subject material with each new piece of work. But Miéville, an English author who makes a very conscious effort to buck tradition and cliche, is a rarity in this case. Personally, my subsequent writing plans stay somewhat grounded in science fiction, fantasy and thrillers, which are to be honest, not vast departures from each other. I’d love to write literary fiction, but I don’t think I have the chops for it. I’m more likely to write Sense, Sensibility and Seamonsters than just plain old Sense and Sensibility. I really do admire those who have the command of prose needed to write great literary fiction though. So, I must ask, do you as a writer feel obligated to stay within the genre of your first book? Do you feel obligated to write in the same style, prose, sentence structure, etc, in fear of alienating any fan base you may have amassed? What about switching from genre fiction to literary fiction or vice versa? This may have been addressed in my white whale post, but if you were to switch genres, what genre would you switch to and what would you write about? Are there any chameleon authors out there that you think jump genres particularly well? Sorry about the recent hiatus from posting. I am in the process of working with an editor on my book, workshopping my next book with a friend, trying to keep up with life stuff and staving off being a complete recluse during this stretch. It’s tough. I don’t know how people do it, especially those with families and real responsibilities. My responsibilities are very minor and when I drop the ball with them, the most that happens is that Breaking Bad doesn’t get Tivo’d or our bowling team is short a man. Not that serious. Today’s highlighted link is for a series called ‘The Kingkiller Chronicles.’ I jumped into this series after about seven or eight people enthusiastically recommended it to me. 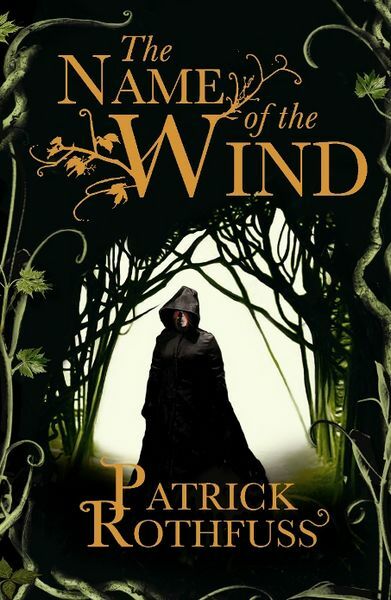 I am about half way through ‘The Name of the Wind,’ the first book of the series, and I must say it is very good. After reading a lot of ‘Game of Thrones’ in the last year or so, I’ve come to expect most fantasy to be like that, but ‘The Name of the Wind’ is more like some strange fusion of the ‘Wheel of Time’ and ‘Harry Potter’ series. I haven’t finished the first book yet, but it’s good so far and the author Patrick Rothfuss is from Madison (one of the many places I’ve called home), so I thought I’d push it anyways. If the last half is nonsense, then I apologize and I’ll come back and update the post saying so. Until then, I give a firm endorsement to the first half of the book.